Still looking for the perfect opener? Look no further. THIS IS IT! 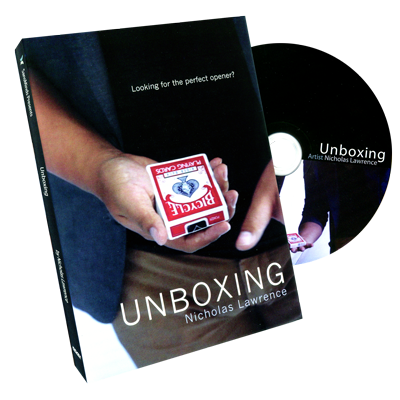 From the mind of Nicholas Lawrence, Unboxing is the ultimate visual box vanishing effect that leads right into your card effects. Start your magic with a bang. Wow you audience even BEFORE your routine starts. Words can’t describe how magical this looks. You don’t want to miss this. Check it out.